While any business in the industry can claim to put its customers front and centre, the survey, conducted by Canstar Blue, exists to set an independent and indisputable benchmark of quality. Scoring five stars across seven criteria, Xero is continuing to proudly set and stretch industry standards. In acknowledgement of the fast-moving industry, Canstar Blue altered and expanded its scoring criteria to include ease of integration and functionality. 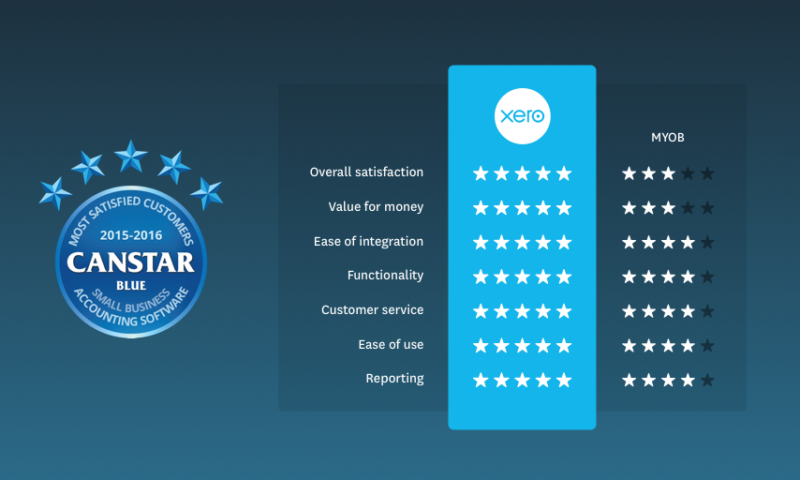 This year, just like last, small businesses scored Xero five out of five stars for every category: overall satisfaction, value for money, ease of integration, functionality, customer service, ease of use and reporting. It’s our second consecutive win – in only the second year we’ve been eligible for the research. And while it’s an incredible feat for us as a company to maintain top results as our customer base grows, it’s notable in a wider context too, with less than a quarter of winning companies ever achieving a Canstar Blue award for two consecutive years. These key results mark a moment to stop and realise how far we’ve come as a company and as cloud accounting software, alongside our partners and customers. They are timely too, coming as our annual conference, Xerocon, travels the world to bring our partners and small businesses together and explore new depths of technological innovation. We want to extend our heartfelt thanks to all our Xero partners, and to the 312,000 Australian customers and more across the world who use Xero to run their business. It’s thanks to you that we have the ongoing drive to grow, question, improve and make business ever-more beautiful. And there’s plenty more where that came from. The post Small businesses name Xero the most-loved accounting software for the second year in a row appeared first on Xero Blog.